New Fortnite Battle Royal Season 7 Week 1 challenges are now live and one of the tasks requires you to visit seven forbidden locations and dance there. This challenge will be familiar to many Fortnite players but the forbidden locations are different. 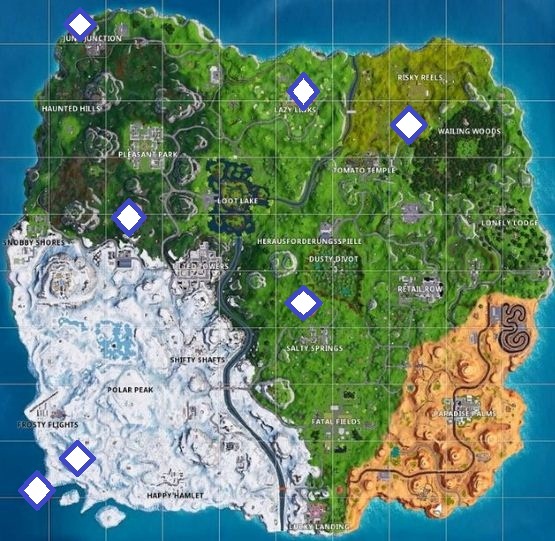 These Forbidden Dance locations are scattered across the map, including two forbidden locations in the new snow area.